Want an idea for a Christmas gift for a loved one or just interested in getting yourself in shape in the new year? Well, Cheadle Personal Training are offering 4 Personal Training Sessions for just £99 to get you started on your fitness journey. 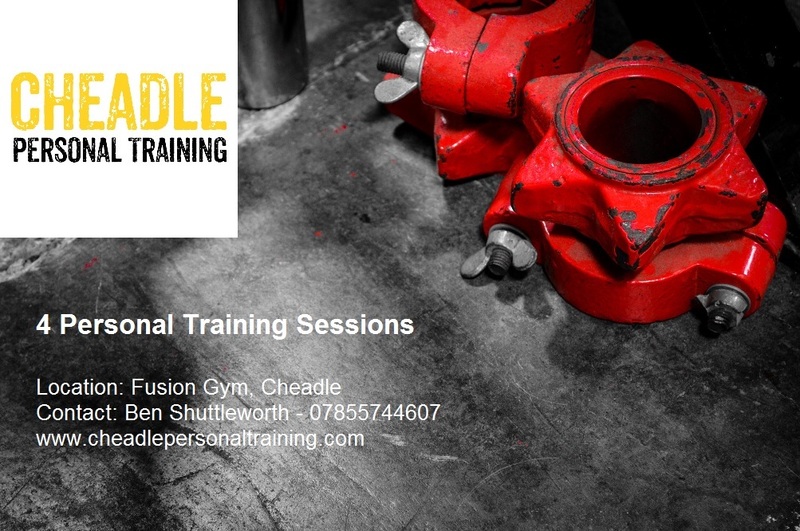 Cheadle Personal Training offers an unforgettable experience from Fusion Gym’s specialist training facility in Stanley Green. It’s not your average gym, offering a unique training experience with a wide variety of interesting equipment, which you will find a refreshing change from your average commercial gym and allow you to challenge your workout boundaries. Want to give the offer as a gift? We will create a branded e-voucher for you to print out!